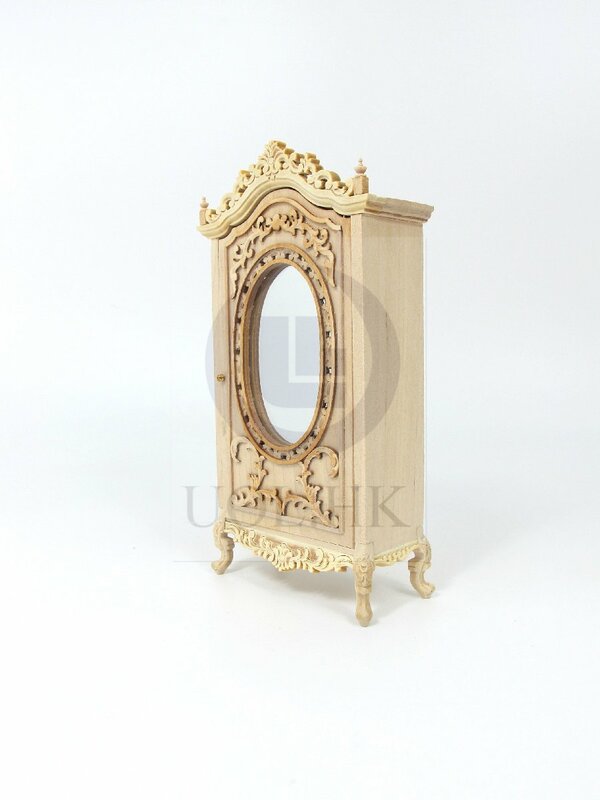 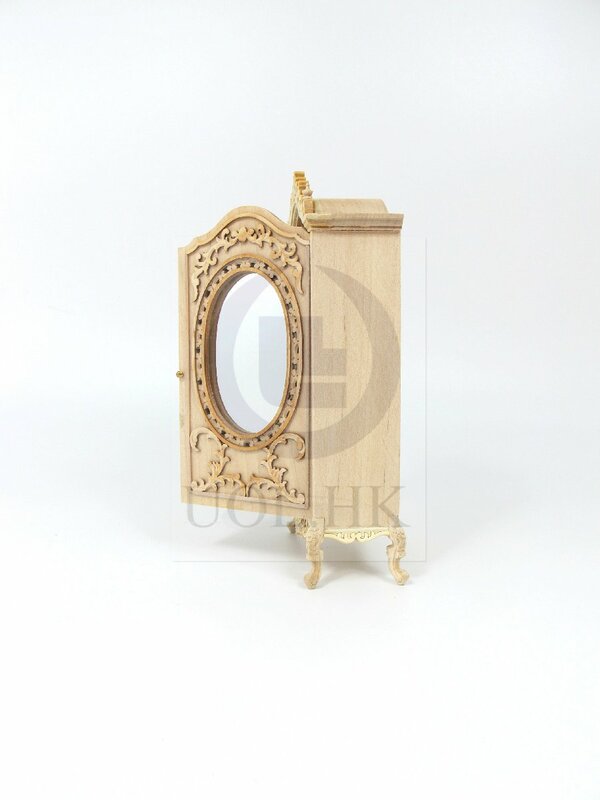 1:12 scale miniature armoire made of wood. 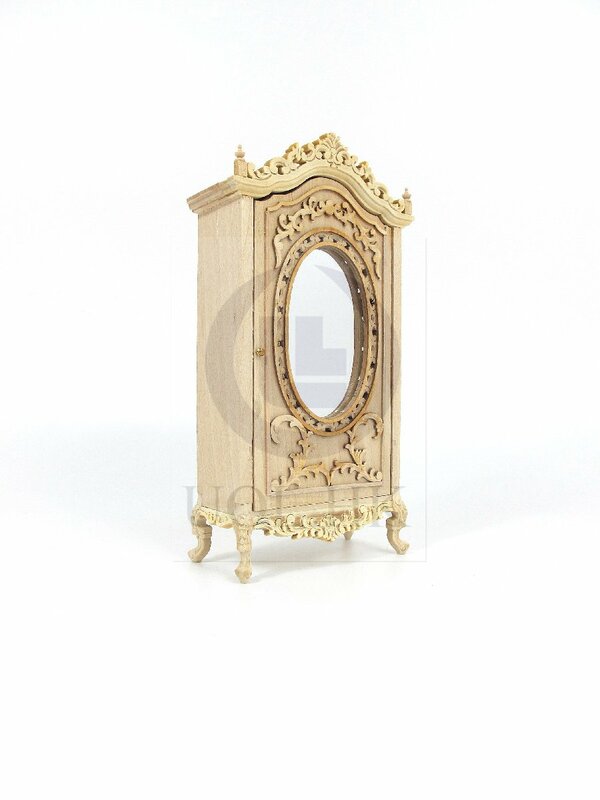 Assembled but unpainted . 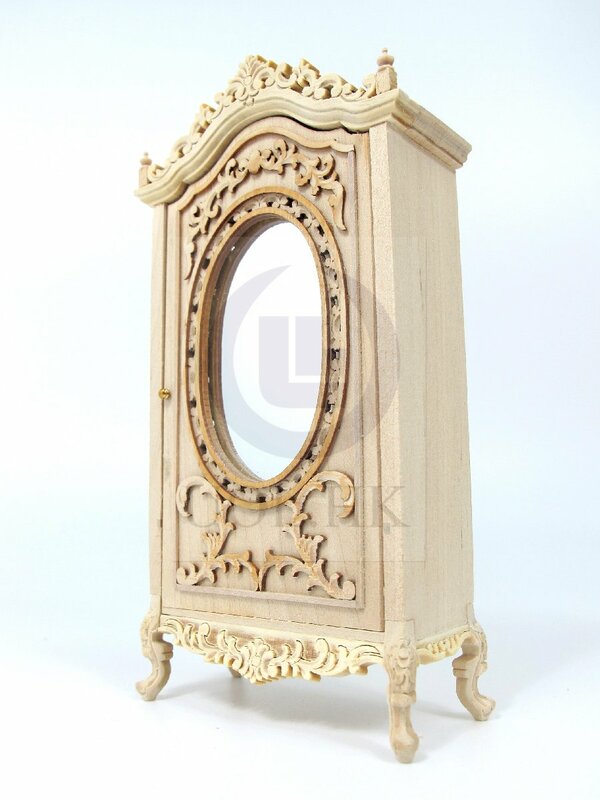 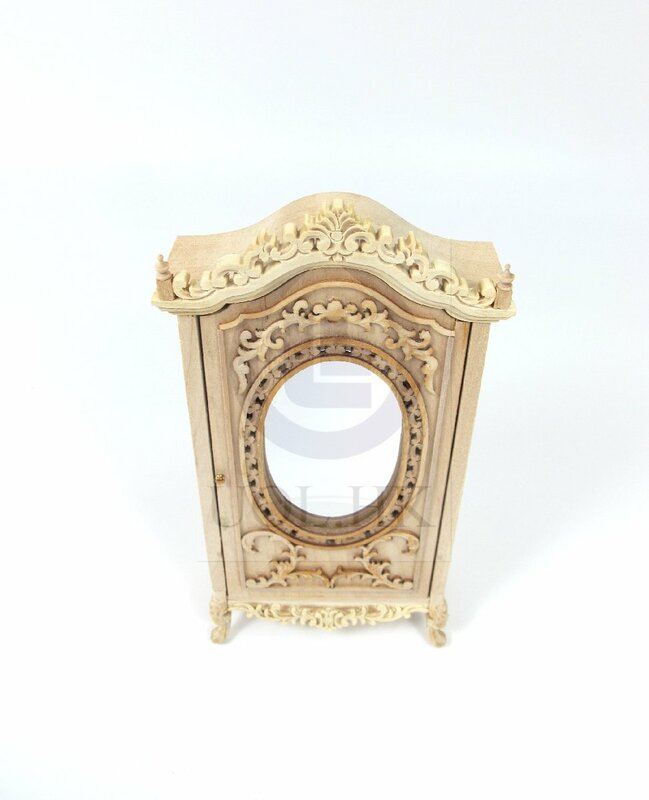 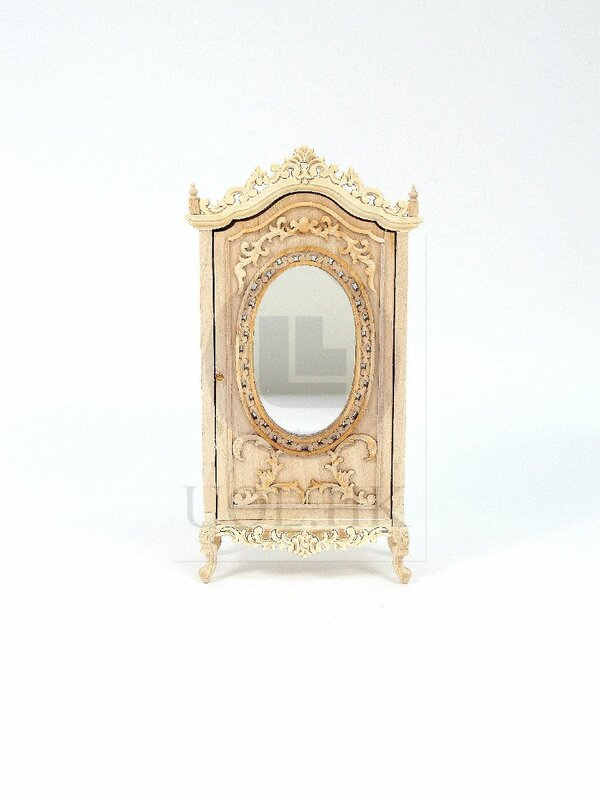 Oval mirror front of armoire. 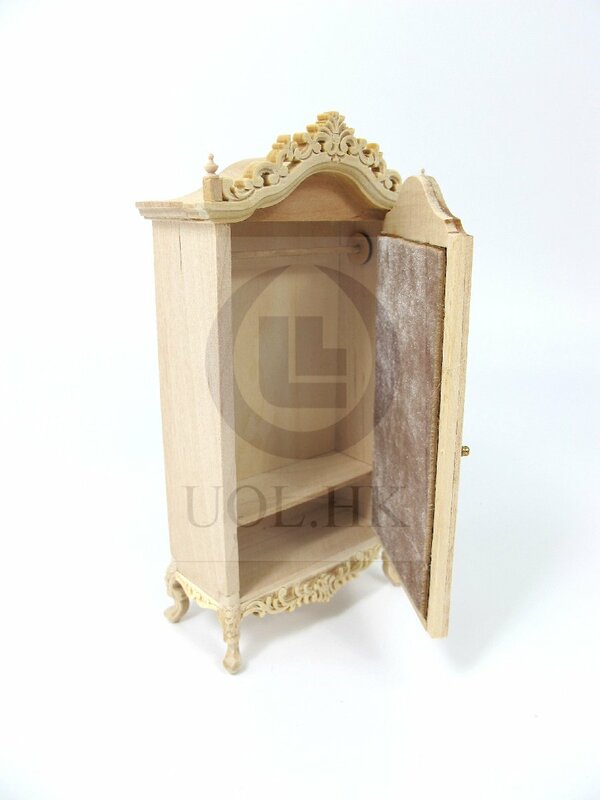 Hanging space with a rod in the armoire.